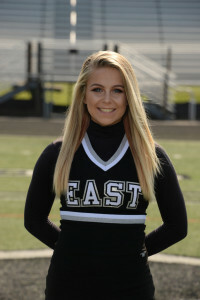 Rachel has been very helpful this year in using her dancing and crowd leading skills to bring some new and exciting ideas to the “cheer traditions” at East. She has been a strong leader , working with our freshman and jv squads when they need help learning new material or adapted material to fit their needs. Lexi was nominated by her teammates for the outstanding effort she produced in the Hawks contest versus Olentangy Liberty. 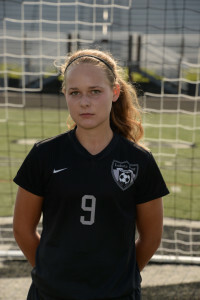 Her defensive play helped the Thunderhawks hold off a powerful Olentangy team to a single goal.